Why should you use CrystalXtreme® to protect your bike? While riders don’t need to worry about kids or pets dirtying the upholstery like in cars, they do still suffer because every part of the bike is exposed to the elements and if not cared for can cause irreparable damage. Rain, dust, dirt and corrosion can even cause danger to the rider. This also applies to the helmet which is critical in this industry. A dirty and damaged helmet can increase the risk when riding as dirty visors can impair visibility increasing the probability of the occurrence of a disaster.With CrystalXtreme®, pretty much every part of the bike can be coated and protected including the spokes, the body, the fuel tank and the engine. The helmet can be coated as well as the visor. The great benefit of the coating is that the rider is protected while he is on his bike as the superphobic coating repels any form or dirt and dust and rain water will just bounce off the bike and the helmet and when the rider is off the bike, as these elements have not stuck to the bike making cleaning a breeze. 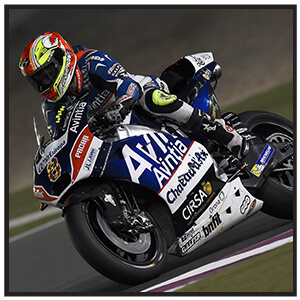 What are the benefits of using CrystalXtreme® to protect your motorcycle? Bikers are constantly exposed to the elements but danger arises when the visor gets constantly attacked by dirt and dust which at times makes it difficult to see and in certain weather conditions visibility can be deteriorated by this. 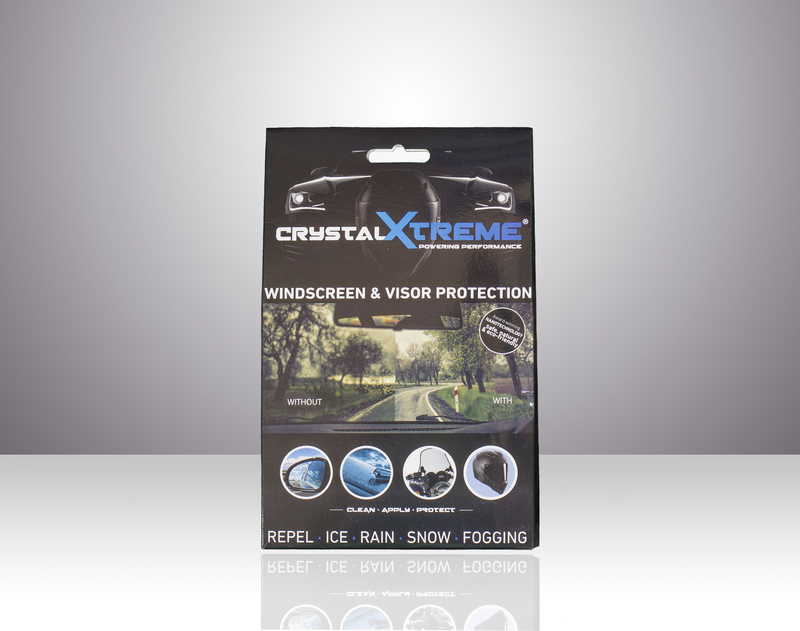 CrystalXtreme® Xtreme Windshield and Visor Protection has been designed to adhere to the visor of all motor vehicles helmets making these repel water, dirt, grime and very easy to clean. During rainy seasons at higher speeds visibility is that much better and riding becomes much easier even without the constant need to stop to clean. Its a known fact that motorcycle enthusiasts sometimes don’t take their bikes out in certain weather conditions or on certain terrains due to the amount of dirt and dust their pride and joy could be exposed to. The goal is to keep their bikes looking shiny and the surfaces to remain as smooth as possible. With Xtreme Restore & Polish, bikers now have a product which has all the functional advantages of our nano-coatings with the added benefit of leaving all metal and plastic surfaces smooth and silky. As a result, not only does the treated surfaces repel water, dust and dirt but when wiped down, leaves a smooth shiny surface. CrystalXtreme® Xtreme Restore & Polish is a 2in1 polish and contains an abrasive agent ensuring that all the dirt is easily removed from your car prior to protecting it, reducing the application time. Xtreme Restore & Polish can be applied to the entire body of the bike and engine and offers paint protection, abrasion resistance and super hydrophobic properties. For information about product specific application please refer to the “Application Instructions” tab on each product in the CrystalXtreme® Shop, and please ensure to read the instructions booklet provided with all orders prior to applying CrystalXtreme® on your motorcycle. Clean: Prepare the surface of your bike by cleaning it thoroughly ensuring it is free from dust, oil, grease and other soiling or surfactants. Only use cleaners without any drying agents. After this wipe the ca surface down with alcohol, we recommend organic isopropanol. Once completed buff the surface dry with a microfibre cloth. 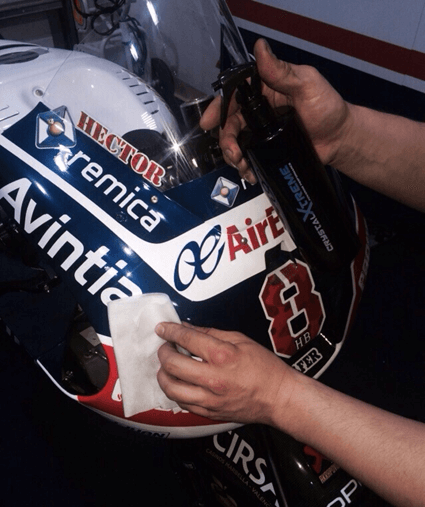 Apply: Prior to applying CrystalXtreme® on your bike ensure the surface is completely dry. Shake the bottle well and spray the CrystalXtreme® product on to a lint-free or microfibre cloth. If you are using the windscreen & visor pack, tear the sachet and remove the pre-treated lint-free cloth. Distribute evenly across the entire surface until the cloth is dry. Dry: The CrystalXtreme® layer will take a few hours to form itself and therefore it is essential to allow the surface to dry. You may find streak marks appear on your bike. 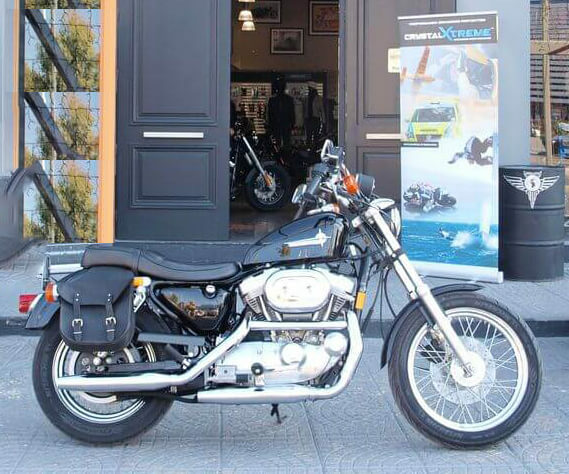 Allow the bike to dry overnight if possible and then remove the streaks by buff drying the bike with the microfibre cloth provided with your CrystalXtreme® order.